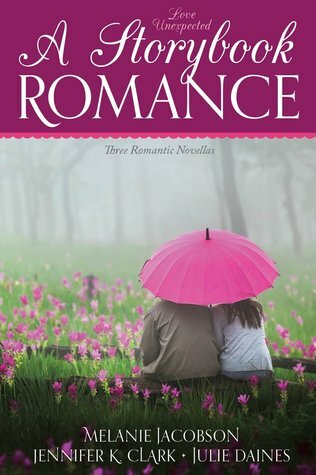 They say a rose by any other name would smell as sweet, but as mistaken identities abound, three heroines will put this age-old adage to the test! Showcasing a trio of LDS fiction’s finest authors, Love Unexpected: A Storybook Romance is a heartwarming collection of short stories that begs the question: can true love really conquer all? Storybook Romance by Melanie Jacobson —New York City book editor Ellie Hanover has discovered a groundbreaking manuscript that may be just what she needs to save her job. But when her anonymous correspondence with the author begins to develop into more than a professional relationship, Ellie is left wondering if her real find is actually Mr. Right. He Loves Me Not by Jennifer K. Clark —When Kenedee spies her boss leaving flowers on her desk, she’s swept into a whirlwind of infatuation. If only he didn’t have a girlfriend . . . Undeterred, the young woman enlists in the scheme her employer’s brother has put in motion for the company’s sake in hopes that she can win over the man of her dreams. But even foolproof plans can go awry. Fools of Us All by Julie Daines —The course of true love is never smooth, as Jane discovers when a case of mistaken identity results in a date with the man she’s admired from afar for years. But she knows all too well that masquerading as her twin sister can only go on for so long before the truth comes out. This is a short collection of three novellas that can easily be read in one day. They are light and clean by well-known LDS fiction authors. The cover is cute for Valentine’s Day. Jennifer K. Clark’s saga is set in Moab between three workers of a river rafting company. I couldn’t quite buy the love triangle or scheming going on and it wrapped up way too neatly. It is a fun setting and circumstance though. And lastly, Julie Daines addresses two tough subjects, domestic violence and taking care of a terminally ill parent in the book’s final chapters. I loved the doctor and character Mac. There is a bit of drama which I had a hard time stomaching. Nothing too violent, but malevolent circumstance none the less. I recommend this one for adults. It is written with characters more in adult and new adult roles. Great carpool read where I could read a few pages and pick up like I never left the stories! A New York artist flees back to the mountainous landscape of her youth to start over…as a cafe waitress. In saunters Aidan, a regular customer and his dog who flirts relentlessly trying to steal a date from Lia. But she has some sass of her own to throw back his way. Griff is her next door neighbor, quiet and shy, but so good with Lia’s niece Chloe. She feels pulled to him, but in a completely different way than the sizzle that’s there with Aidan. Lia’s heart has walls up and two men are testing her hiatus from men. With a bucket load of banter and snark in a small town restaurant to the quiet solitude of oil painting on a mountainside, Painting Kisses is filled with detail. Gourmet foods, bright colors, linseed oil, and the rich texture of tiramisu will assault the readers senses. It took me quite a while to assimilate all the layers and feel them as the characters did, but I enjoyed the depth of the imagery present in the story. I at times found Lia’s personality a bit overpowering with sass, but overall I liked the ending and message! 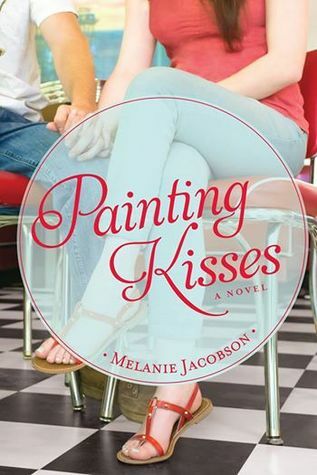 I would definitely recommend all of Melanie Jacobson’s books to fans of clean contemporary romance. Content: Some kissing and tension, mention of prescription drug addiction and domestic abuse, but no violence. Book summary from Deseret Book: The spark was undeniable the night Sandy Burke met the devastatingly handsome Jake. Conversation flowed easily, so after they parted, she waited eagerly for his call. It never came. A high-powered career woman at the ripe old age of twenty-seven, Sandy feels she has had her heart broken one too many times, and now the redheaded trendsetter is facing a major quarter-life crisis. After some introspection, Sandy determines that helping others may be the key to helping herself. When she’s presented with a job offer in Washington, DC, as the director of New Horizons, a nonprofit organization benefiting women in poverty, it seems providential. But now that she’s moved, two major obstacles threaten the success of her first assignment: The first is her mother and her constant fog of less-than-helpful New Age advice. Secondly, plans to build another New Horizons outreach center have come to a screeching halt, thanks to the interference of a pesky lawyer and his attempts to reverse zoning approval for the building project. After weeks of verbal sparring over the phone, Sandy is in for a shock when she comes face-to-face with her foe. The smooth voice at the other end of the line is a heart-wrenching blast from the past. In this twist of fate, Sandy sees the perfect opportunity to ensure the success of the outreach center—and to enact a little payback on this man she thought she’d left behind. And so the battle of wits begins. Will Sandy’s “flirt-to-convert” plot sway he nemesis’s determination to block the center, or will his charming and undeniably attractive ways convince the sassy redhead to give love a second chance? 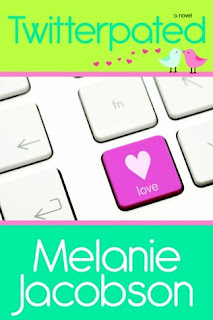 Heather’s review: Melanie Jacobson has won my heart with her clean, funny romance writing. 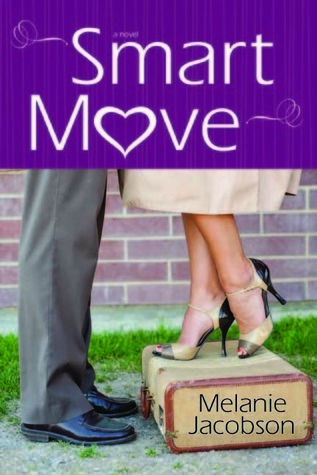 Smart Move features a less than perfect main character which is something I appreciate. She’s the daughter of a single mother who’s been raised in a less than ideal environment, shuffled from place to place and step-dad to step-dad. She’s now found her place as a Stanford graduate working in D.C. for a major nonprofit organization. She has a job she believes in, her own space in the upper half of a house and yoga to keep her sane. But she just can’t get her mind of of one night back in Seattle and the man she met who never returned her phone call. The sparks were definitely there, but she should be over it by now! Luckily she has a huge project going right now to keep her mind off of dating–winning the zoning approval for a program helping women make their way into the work force. The only thing standing in her way is “El Diablo” the proud and stubborn attorney who’s working hth other end of the case. The two cross paths in more than one unpleasant encounter and let the banter begin! Sandy is spunky and unique in her spanx (tummy trimming lycra.) She has some baggage from her past but is headstrong and flirty at the same time. Main antagonist, “El Diablo” never, ever gives up. It’s so nice to see a persistent and confident man who knows how to keep the best interest of both his employer and others around him. 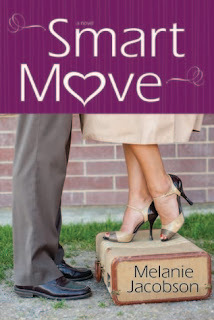 I thoroughly enjoyed Smart Move and would recommend it to all readers as a clean read. You’ll laugh out loud at Sandy’s mother Margerita and her New Age goofiness as well as some of the hilarious situations Sandy finds herself in. I enjoyed the East Coast Ivy League D.C. setting as well. If you haven’t read any of Melanie’s books yet…go, go, go! About the author: Melanie Bennett Jacobson is an avid reader, amateur cook, and champion shopper. She consumes astonishing amounts of chocolate, chick flicks, and romance novels. After meeting her husband online, she is now living happily married in Southern California with her growing family and a series of doomed houseplants. Melanie is a former English teacher and a popular speaker who loves to laugh and make others laugh. In her down time (ha! ), she writes romantic comedies for Covenant and maintains her humorous slice-of-life blog. Her second novel, Not My Type, hit shelves in September. Visit Melanie on her website or blog. Book Summary From Goodreads: Jessie Taylor is furious when her roommate secretly posts her picture on the dating website LDS Lookup — furious, that is, until she spends all night instant messaging Ben Bratton, a man whose wit and warmth just might make Jessie forget the train wreck of her last romantic relationship. Their first date is a smashing success (literally), but Ben’s overall awesomeness can’t save Jessie from having to deal with Craig, her competitive coworker whose baiting behavior sets new standards for obnoxiousness. Determined to beat Craig at his own game, Jessie spends long office hours finishing projects and putting out fires, but while her performance wows her boss, it only makes Ben skittish — after a failed engagement to an up-and-coming lawyer, he’s not about to pair up with someone who’s married to her job. Will Jessie figure out how to be true to herself and take her big chance at love before it’s gone with a click of the mouse? Heather’s Review: Jessie’s in her mid twenties with a well established career and not much time to spare considering she works 8o hour work weeks. She believes in doing her best and investing herself in things with measurable results. So, when her roommate Sandy signs her up for an online dating service she is skeptical. Jessie’s love life hasn’t been so hot in the past. With a failed long-term romance and a broken heart under her belt, she’s afraid to take a chance. But Ben Bratton knows just what makes Jessie tick. He is attracted to women with drive. At the same time isn’t willing to commit to someone not committed to carve out the most important hours for him. Can Jessie put aside her over achiever turbo drive and follow her heart and will Ben wait for her to figure out the perfect balance? Melanie Jacobson once again left me smiling and laughing at the clever dialogue between her characters. I could relate to the storyline since I myself was knee deep in a post degree career and in my late twenties when my mother signed me up for LDS Singles online. On the other end the story was my now husband Todd, whose co-workers signed him up. I had to chuckle at the similarities and am happy to announce ten years later (on the 23rd) I am still happily married to my online set up! I whole heartedly recommend all of Melanie’s books to readers looking for a light hearted romance. She is so talented at fleshing out real life people and situations that are perfect for our generation. Her first two books The List and Not My Type are currently in the final rounds of the Whitney Awards which means she’s at the top of her game. You will adore getting to know Melanie’s style and following her blog and twitter. She is simpy brilliant! The Giveaway: Fire and Ice is giving away one copy of Twitterpated courtesy of author Melanie Jacobson. To enter, choose your own entries in the Rafflecopter form below. Giveaway open to US mailing addresses only ends April 2, 2012. Good Luck! Today Fire and Ice is thrilled to host a guest post and giveaway from author Melanie Jacobson as our day 5 of Best I’ve Read 2011. I gave five stars to her newest book Not My Type. What things would you have on your bucket list? There are so many places I want to travel as part of my bucket list. Costa Rica, the Caribbean, Jerusalem, Africa. I also really want to learn to sew. But I’ve been lucky to get a lot of my bucket list done already. Guess it’s time to make a new one! You review books occasionally, tell us what some of your favorite recent reads are? What about all-time best reads? Best all time read is To Kill a Mockingbird. My oldest son’s middle name is even Atticus. But some favorite recent reads are My Unfair Godmother by Janette Rallison and Variant by Robison Wells. Not My Type is partly about some of the fiascos of online dating…did you had any disaster dates before you got married? I did. Oh, yes. Oof. The biggest standout is Zipper Pants Guy. He had these cargo pants that you could zip off to become shorts. He stuffed the zipped off legs of his pants into his pockets, along with his camera and a water bottle and a million other things until he walked at nearly a waddle. It was an odd visual. I never recovered enough to commit to another date. What has been the most rewarding experience you’ve had as an author? Several women have thanked me for offering them a guilt-free escape from some of their troubles. That makes it totally worth writing. Do you have a music playlist for any of your books? I totally don’t, which is so weird because I’m married to a musician. But I can’t read or write with music playing and since that’s what I do the most . . .
Not this year. But I did it the past two years and I sold both of those novels, so I give NaNoWriMo two thumbs up! About the author: Melanie Bennett Jacobson is an avid reader, amateur cook, and champion shopper. She consumes astonishing amounts of chocolate, chick flicks, and romance novels. After meeting her husband online, she is now living happily married in Southern California with her growing family and a series of doomed houseplants. Melanie is a former English teacher and a popular speaker who loves to laugh and make others laugh. In her down time (ha! ), she writes romantic comedies for Covenant and maintains her humorous slice-of-life blog. Visit Melanie on her website/ twitter or blog. Click here to order Not My Type at 20% off the cover price. To enter to win a copy of her new novel, Not My Type: A Single Girl’s Guide to Doing It All Wrong, click here and fill out the form. Today Fire and Ice is thrilled to host a guest post and giveaway from author Melanie Jacobson. I gave five stars to her newest book Not My Type which I just finished reading. Oh does Melanie know how to write a kiss! You will fall head over heels in love with her characters and the adventures of Indie girl who braves the crazy world of online dating for her job as a local journalist. This is one of the most fun books I’ve read all year. Welcome Melanie Jacobsen author of Not My Type: A Single Girl’s Guide to Doing It All Wrong, Paperback, 257 pages Published September 1st 2011 by Covenant Communications. Twenty-three-year-old Pepper Spicer is not living the dream. She ended her engagement at the last minute because her fiance-a musician and soon-to-be reality TV star-wanted her to sacrifice her own career ambitions for his. Now she’s stuck at home sharing a room with her little sister, trying to pay off massive debt for a wedding that didn’t happen, and spending Friday nights Facebook-stalking everyone who has a better life. Her therapist father urges her to choose her career dreams and count her blessings by writing weekly thank-you notes, but gratitude is a tall order when she botches an important job interview and has to settle for writing an undercover dating web-zine column-the last thing in the world she wants to do. Life takes a major upswing as Pepper’s column hits the big time and she tastes the exhilarating thrill of success. But there’s one tiny problem: the intensely hot man she’s falling for is having issues with her job (again). Will Pepper trade her personal ambition for another chance at love? Guest Post from the author: “My mom never made me write thank you notes. For a lot of reasons, it was one of those things that fell through the cracks of my social training. Thanks to a situation in which I mortally offended my new step-grandmother by not writing a thank you note I didn’t know I was supposed to write, I’ve been reformed. Um, mostly. Actually, I was kind of obsessed for a while. So much so that at one point I imagined writing a note that was going to get me on Oprah, a dream I’ve now had to accept I’ll never realize. Along with the one where I’m invited to be on her favorite things show. But I haven’t given up hope for making it to one of the Ellen twelve days of Christmas. Anyway, the idea was that I would write a thank you note to someone every week for a year and then record the effects I observed. That idea disappeared to the same place that has stolen all my best money-making schemes and sure-fire bestseller ideas. In other words, it went into the ether and it’s floating around with all the wished upon dandelion fluff and falling star dust, waiting to coalesce into another dream for Stephenie Meyers. But I’ve always loved the idea of a year of thank yous. Ultimately, instead of a life project it became a novel, Not My Type, about a girl named Pepper whose father challenges her to write the notes in an effort to snap her out of a self-pity funk. Still, the constant questions I get about, “Where did you get your idea from?” and “Do you write thank you notes?” has reminded me that I owe quite a few to people, so I might as well start catching up right here. Thanks for teaching me the superhuman skill of biting back curses. Every time I have stepped on one of your evil bricks when chasing a half-naked child to wrestle her into a diaper, I have managed to keep the most vile curses behind my teeth. This has translated into me being able to travel the local freeways and merely grunt as I bite back my road rage-induced profanity. Sure, it sounds like I’ve had a stroke. But my kids have learned all their swear words from the church nursery and NONE of it from me. Barefoot Lego damage has prepared me well. I have gained thirty pounds in the last ten years, but every time I go shopping, I wear the exact same size. I love vanity sizing! Keep up the good work, guys! Sometimes you are the only reason my children survive the day. This thanks is really more on their behalf, because seriously, they OWE you one. More than one. They kind of owe you for every Friday afternoon that they’ve survived. About the author: Melanie Bennett Jacobson is an avid reader, amateur cook, and champion shopper. She consumes astonishing amounts of chocolate, chick flicks, and romanc e novels. After meeting her husband online, she is now living happily married in Southern California with her growing family and a series of doomed houseplants. Melanie is a former English teacher and a popular speaker who loves to laugh and make others laugh. In her down time (ha! ), she writes romantic comedies for Covenant and maintains her humorous slice-of-life blog. 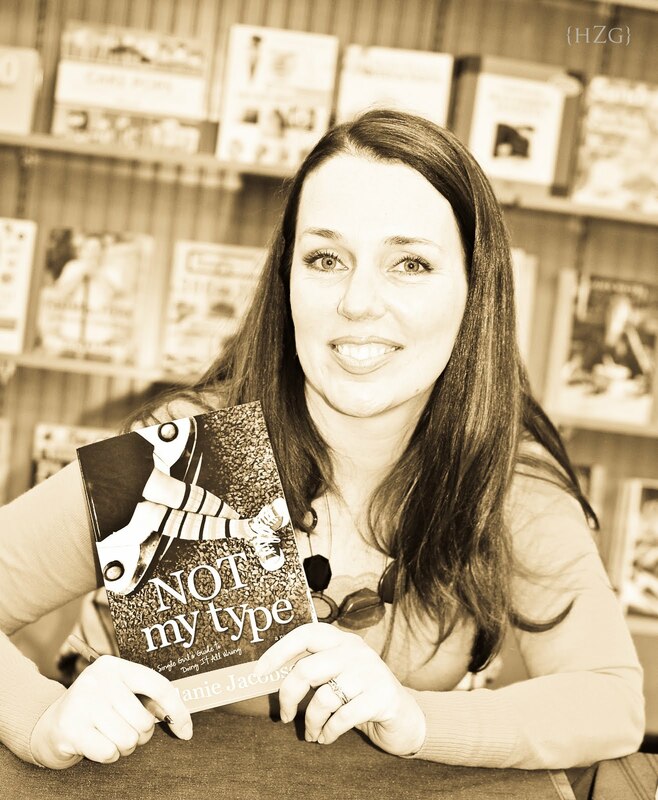 Her second novel, Not My Type, hits shelves in September. Visit Melanie on her website or blog. 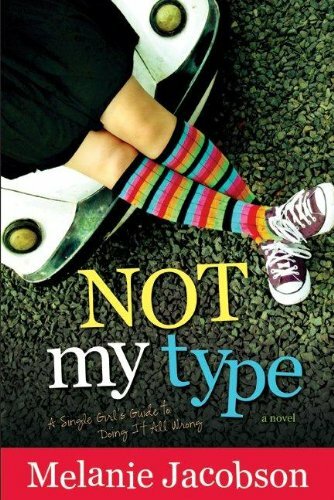 Click here to order Not My Type at 20% off the cover price. To enter to win a copy of my new novel, Not My Type: A Single Girl’s Guide to Doing It All Wrong, I’d love to hear about one thing you’re thankful for that you wouldn’t normally list. You don’t even have to explain your answer. For example, for different reasons, I could and probably should thank the following things: Red Box, kitchen tongs, the neighbor’s dog, and Cheez Its. Good luck! Leave your entry in the comments below and we will pick a winner on November 10, 2011.